Are you a resident of the Paradise Valley or Peck’s Lot neighborhoods? 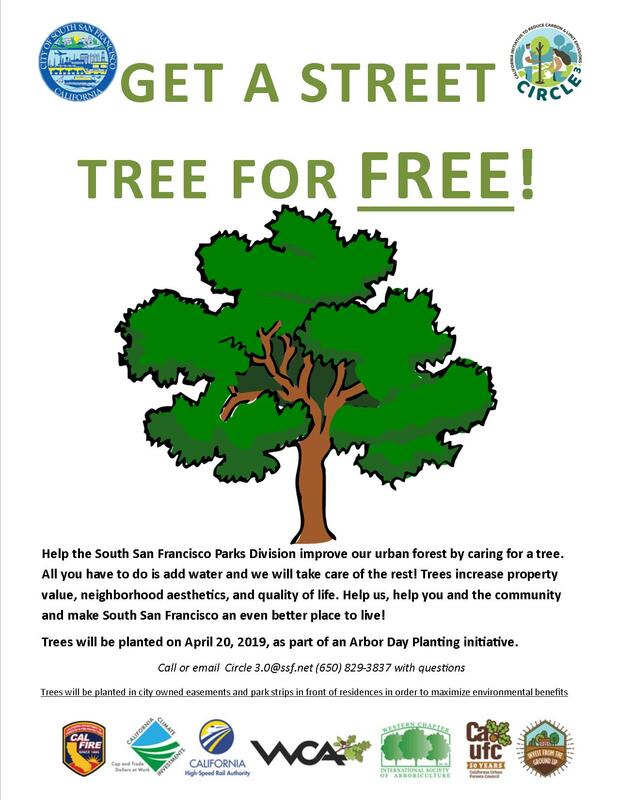 The City of South San Francisco has received a grant to plant 200 street trees in the Paradise Valley and Peck’s Lot neighborhoods, and we are asking for your assistance by adopting a FREE 15-gallon street tree as part of the Circle 3.0 program. Part of the California Urban Forestry Council’s Invest from the Ground Up tree planting program, Circle 3.0 is California’s Initiative to Reduce Carbon and Limit Emissions, and the City of South San Francisco is excited to partner with West Coast Arborists to bring this wonderful opportunity to our community! As you may be aware, there are many benefits to having trees in your neighborhood such as increasing your home’s value, beautifying your street, traffic calming, trapping air pollution, and improving public health. Trees may be planted in these two neighborhoods, either in front of your home or on the side, in the City’s easement. Additional trees on the north side of Randolph Avenue between Highland Avenue and North Spruce Avenue will also be available for adoption. Adopting and caring for the tree is as easy as watering it weekly. West Coast Arborists and City staff will maintain the tree, including monitoring and trimming. Trees will be planted on April 20, 2019 as part of an Arbor Day Planting volunteer event. A call for volunteers will be advertised soon. We will be hosting an informational workshop on Saturday, November 17, 2018 from 9:00 a.m. to 12:00 p.m. at the Maintenance Services Yard located at 550 North Canal Street, South San Francisco. Please join us and encourage your friends and neighbors to attend. To RSVP for this informational workshop please respond via email at Circle3.0@ssf.net no later than November 9, 2018. Not a Paradise Valley or Peck’s Lot Neighborhood Resident? West Coast Arborists is rolling out a tree giveaway program for smaller 3 gallon sized trees. 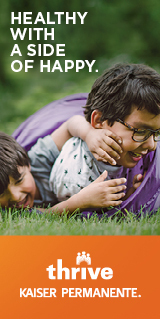 Visit their website here for details: http://energysavingtrees.arborday.org/#Home.